Austin Siamese Rescue, Inc. is a 501(c)(3) organization, formerly the Austin Branch of Texas Siamese Rescue. We focus on the 14 breeds of the Royal Thai Family, including Siamese, Balinese, Javanese, Oriental Shorthairs and Longhairs, Birmans, Burmese, Himalayans, Ocicats, Ragdolls, Snowshoes, and Tonkinese. All of the cats fostered in Austin are cared for in private homes by individuals who dedicate their spare time to this effort. Our cats come from a variety of backgrounds. Some faced death at the shelter, while others came from abusive and neglectful households. Still others were treasured companions of guardians who could no longer care for them. What they all have in common is a need for a forever home, where they can live their lives as the happy, pampered cats they all deserve to be. We're looking for the perfect inside home for them! Interested adopters go through a careful screening process to include reference checks, telephone interviews, and where appropriate, home visits. No cat will be placed in a new home which allows cats to go outside. 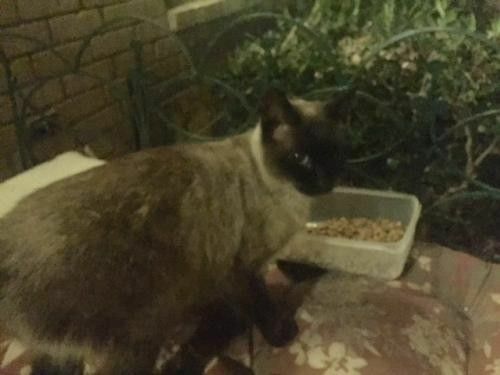 The adoptive owners agree to give Austin Siamese Rescue, Inc. the option of reclaiming the cat, should the adoption not work to the advantage of the new owner and the cat. Adoption fees for Austin Siamese Rescue, Inc. range from $100 to $175 and include such vet work as combo test, vaccinations, worming and flea control, and microchip. We spay or neuter all of our cats prior to placement and most of our kittens, depending on their size and readiness. For more detailed information and our adoption policies, see the Adoption Info section of our web page.